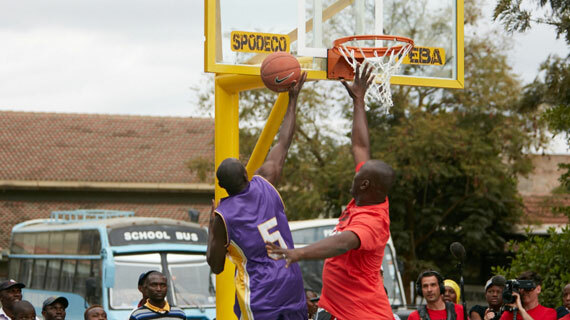 Nairobi’s Kayole estate has landed a brand new basketball court courtesy of Giants of Africa. The court, launched on Monday will support the development of budding basketball players in the region. In addition to launching the new court built by the organization, the team further donated product and basketball equipment to the Diwopa Catholic Primary School. Giants Of Africa is a basketball foundation founded in 2003 by NBA's Toronto Raftors General Manager, Masai Ujiri and it brings together top coaches to help run the sessions and are designed to help young basketball players develop athletically, achieve life goals and become better players. “Running the Giants of Africa camps every year has become very important to us,” said Ujiri. “We have to give back and encourage the youth. While we all want to do well in our daily jobs, we must never forget what got us here. Using basketball to educate and develop African youth is just the beginning of what needs to be accomplished. Coaching the coaches and building infrastructure is key for the growth of the game on the continent. These kids are motivated, aspire to learn and continue to work hard. It is a responsibility for us to inspire them to keep aiming high by providing them opportunities to grow."